Lynda Girvan has over 25 years experience in business and systems development as a consultant, professional trainer and practitioner in both public and private sectors. Lynda has extensive experience of adding value to organisations at a variety of levels including coaching Agile development teams or helping board level change projects. Lynda’s particular strength is applying business analysis and Agile techniques together to help organisations overcome challenging business problems. Lynda explored this topic as co-author of the BCS book, ‘Agile and Business Analysis’ published in 2017. 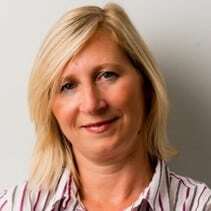 Lyn is Head of Profession for business analysis at CMC Partnership consulting Ltd and their Lead Agile BA and coach. Lyn is a regular speaker who has provided key note talks at European conferences on Agile and business analysis.